c3angels | My Life as a COMMA! Well…here we are. 20 years since my boys were taken away from me. 20 years past the day I didn’t honestly think I could live through. 20 years have passed and 20 years of life has been lived! …..and yet…I can still see so many things so vividly in my mind….as if it were just yesterday. In preparing for this anniversary….God placed it on my heart to do something different. You see…I’m VERY private on these days. VERY! I take off work, I stay home…I don’t make phone calls…and I don’t take all the phone calls I receive. I allow my self to “go there”. I give myself permission to go back, to remember….to hurt and cry…and fall apart. I do fall apart…usually pretty hard. I usually wait until my husband and kiddos are gone…and I release it all. I cry out to God….I cry and allow myself to feel the ache…to feel the emptiness. I allow my mind to go to the places I try to keep it from on a daily basis. These are usually the days I reserve for me. But this time…this time God reminded me of some very true realities. This…didn’t just happen to me. They weren’t “mine” only. 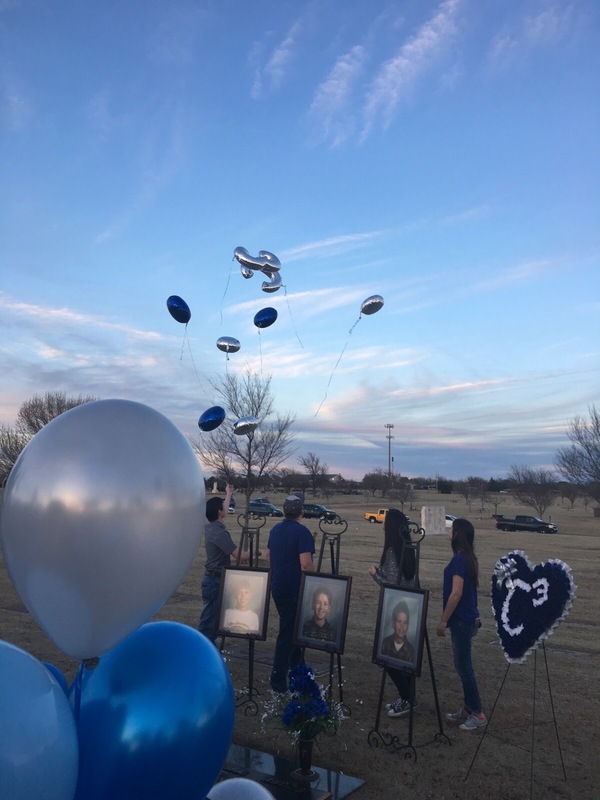 There were other family members, friends, neighbors, schoolmates, teammates, teachers, coaches…..just a lot of other people who also experienced the loss of my wonderful boys. And…there are people that have never met them….didn’t know them while they were here with us on this earth. These people didn’t know them…but they know us…and so they know their story. And..they love us! And…this being such a momentous anniversary…I needed to do something…something to include everyone. So, I took it to my kids and hubs to see what we should do. This was at the beginning of February…we talked about it…but then life happened and we got busy…and the next thing we knew…we were about a week away and still hadn’t planned anything. In talking to each of my family…..it seems we all had the same idea. We should do a balloon release to celebrate their lives! 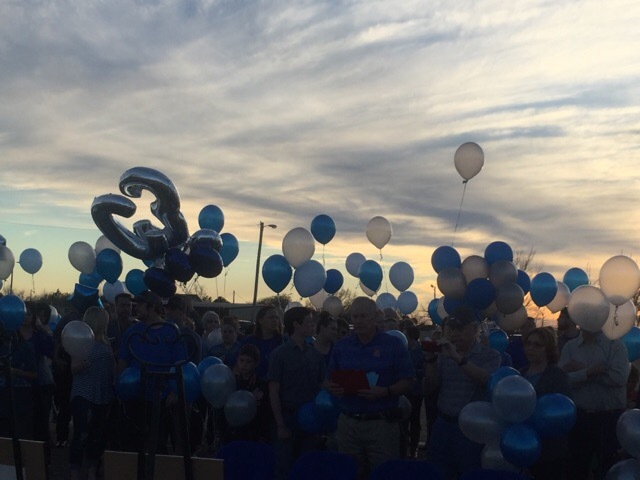 We agreed to release blue & silver balloons, the color of their school. Then, where to have it? 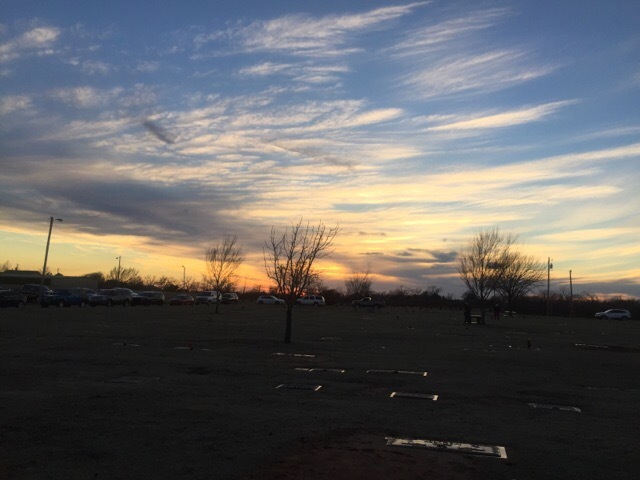 We talked about the school….or the ball fields where their trees are planted…but ended up deciding on the cemetery. It was decided. I then created a graphic for each of us to share. I remember my daughter asking if I thought there would be a lot of people there. I said…”maybe”. And by “a lot”…I was thinking 30-40! Little did I know…this would get bigger than I ever imagined. I wanted to just get together…play some music and release balloons. And that is what we did…but it truly…turned into an event. Not an event I had envisioned…but in looking back…it is exactly the kind of event my heart needed!!!! In listening to God and opening myself up to others on this day….He did a work and a healing on my heart through others!!! I’m so thankful for His provision! We had news coverage, 2 professional photographers, friends helping plan, donated balloons…..and friends and family….there to support us. It was overwhelming…the love I felt. I told everyone…that 20 years ago…on that awful, dark grey day…I had crawled into the lap of God and let Him hold me. But on this day…..it was their texts, calls, facebook posts, faces and sweet messages that I felt…and it felt just like the arms of God were wrapped around me again! It was them….who gave me my strength. And it wasn’t a dark, grey day at all…. 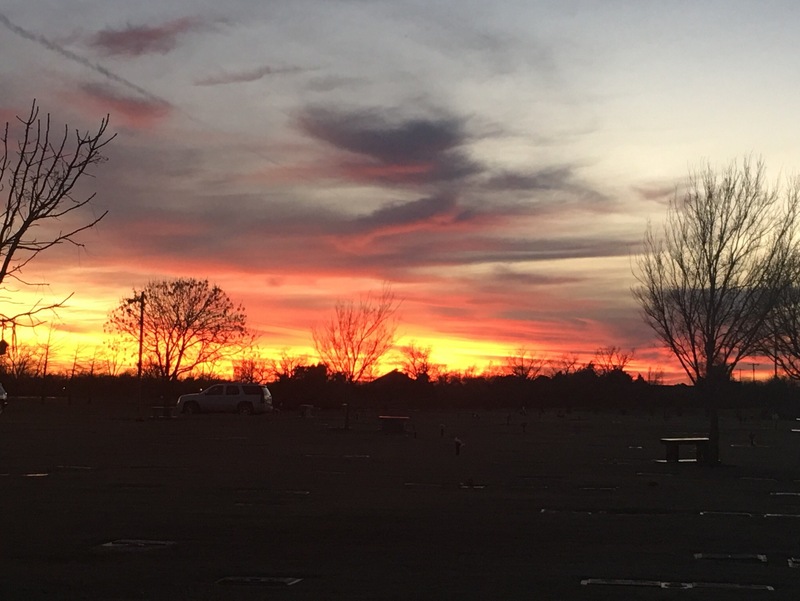 There was a beautiful blue sky, with wispy, angel-winged clouds….that evolved into one of the most beautiful sunsets I’ve ever seen. 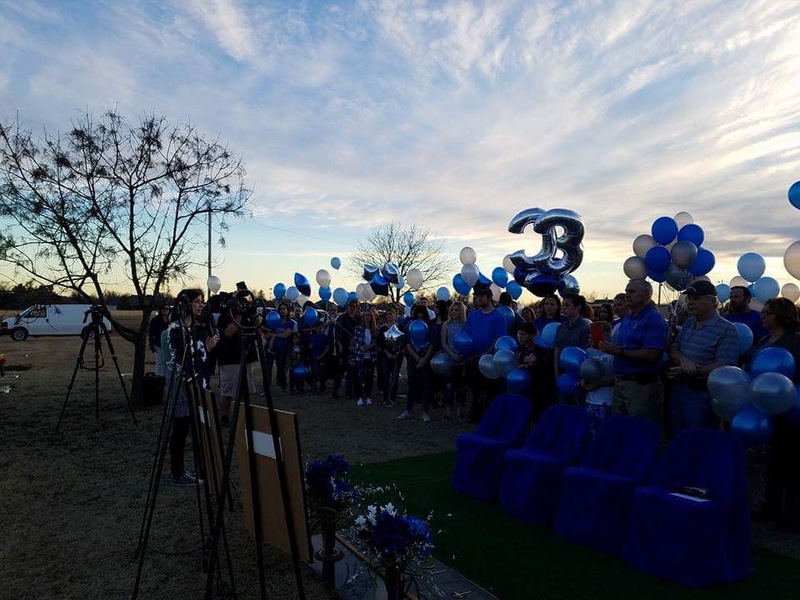 We had close to 150 people gathered to remember…to celebrate the lives of my sweet angels! It was overwhelming to see so many people from so many different facets of my life represented there with me! Seeing the love…and you could truly see love….was more than my heart could have imagined. The hugs I received….were just like the hugs I received 20 years ago today. 20 years ago today was the funeral. I remember it being dark and cold and grey…again. But I also remember staying there….and hugging every single person …..long after the graveside service was over. I remember the hugs…the love…and the way it made me feel supported and that I was not alone. That…is exactly what happened, again….at the balloon release. The hugs…the love….the smiles…the stories…the tears…the presence….of those who loved the boys…of those who love me…and my family…were like raindrops in the desert! They were the salve my wounded heart needed on this anniversary date. I’m hoping these links work….because if you are reading this…no matter where you are in the world….you are now a part of my story….of their story and I want to share this day with you. I thank you for the time you’ve taken to read my blog…to allow me and my part of His story…to reach into your life. This is a video…of the day I had…of remembering…of loving…and of being loved. These are just some of the small reminders…that God shows up!!! He showed up 20 years ago….and He has continued to show up…through the hands and feet of the people who love HIM! Click here to watch the coverage from News 9. A big shout-out and thanks to Steve Shaw for being so kind and respectful of my family while covering the event. And this video is a small representation of the day we had…taken by my sweet friend Mary from ToMorrow’s Memories Photography! Please take a few moments…to watch…to see God…and to thank God…for life…for love…and for each other. So…if you can still see this…through the tears…I know you are really wonderful and I thank Him for you! I ask that you share…so that others can see the goodness in life after death……in hope after tragedy….in love over hate!! I am asking God to do big things…in and through this day of remembrance! He….has done such a good work through this tragedy…and I know…He is just starting to “show up and show off!”. I’m just praying….I’m strong enough…and up for the ride He has in store!! The time, people say, from birth to adulthood. The length of time, they say, it takes to make you mature enough or responsible enough to vote and serve our country. 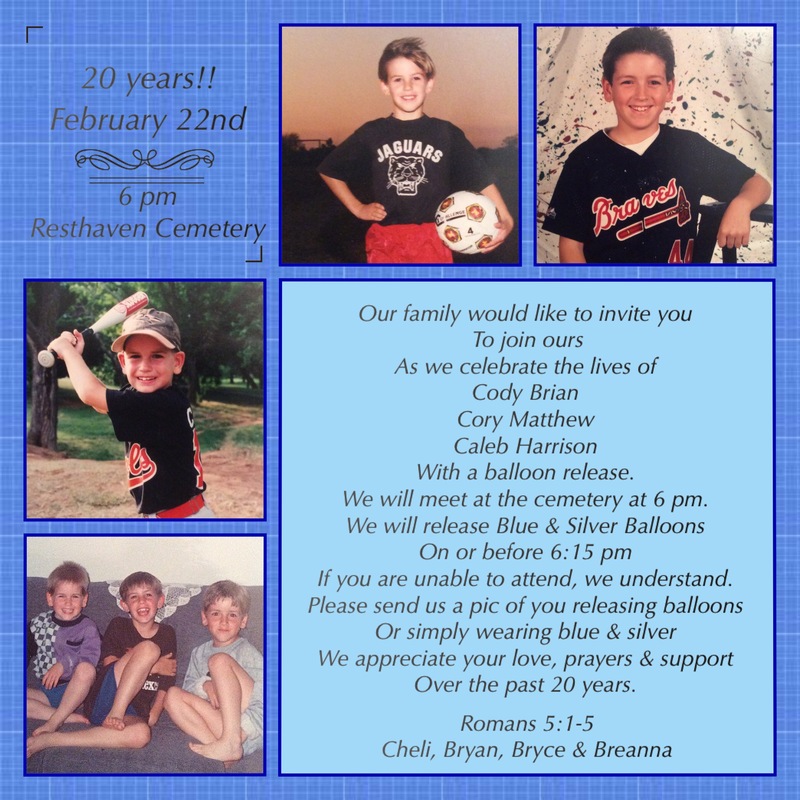 But today…..18 years….is the length of time I’ve lived on this earth without my three sons. I’ve tried, really hard, to see this today as a positive thing. My sweet friend, who has also lost a child…calls this anniversary her sweet baby’s “heaven day” and celebrates it as such. I know that is where they are….but I just don’t see this day as that….. I see this as the day they were taken from me….literally…taken. They weren’t sick and needing to be “completely healed”……I wasn’t sitting at their side…ready to release them. I was just in another town. Away for a couple days….thinking I’d get to come home and our lives…my life…would continue on. I thought I’d be their mommy forever…. I thought I’d get to see them through the teenage years….young adulthood….girls….women….marriages and children. But I’ve seen none of this. I can’t imagine anything…..except their sweet smiles. Cody will always and forever be 11 and in 6th grade. Cory will always and forever be 10 and in 4th grade. Caleb will always and forever be 8 and in 2nd grade. THAT …. is my reality. I can’t express, how today feels. I can’t make anyone understand the way I physically ache….and my heart physically hurts….I just can’t. I just wanted to curl up in my bed this morning….and as the waves of sorrow washed over me…and I grasped so hard at the second pillow to muffle my crying…my gasping for breath…..I knew I couldn’t. I couldn’t stay there and just be sad all day. And I thank God for that. As much as it hurts….as much as it makes me feel like I can’t breathe…like my lungs are being drowned, literally, in the sorrowful mourns of a mother having her life ripped out from underneath her…..as much as I want to wrap myself up in a big cocoon and not be a part of the outside world….. I thank God…because as I was gasping for breath this morning….I also knew…that on the other side of my bedroom door….was another part of my life. On the other side of that door….were two more children…who love me, in spite of how crazy and not-normal I am…..and who need me…to be mom…to be present…in the here and now…in today….and not drown in my yesterdays! That is a gift from God. All of my children are gifts from Him. Even though I only got to be a mom to my sweet c3angels for less than what I wanted here on this earth…..I had them. I am oh-so-thankful for that part of my life. I can’t take any part of it away….I can’t ….and I wouldn’t want anything BUT to have had the pleasure of being their mom. I’m still their mom. I still get to share them…by sharing myself and their story with others. I thank God He has strengthened me in a way that I am different….and I can see all of this now! And I’m mom to two great kids now. I love being a mom. I can’t tell you how much my heart aches for my sweet boys…my angels. But I do know I’m getting to a place in my life where I know they are looking over me and so proud of what I’ve accomplished since they’ve been gone. I’m blessed. Yes…on the 18th anniversary of my three children’s murder…I can honestly sit here and tell you I’m blessed. Blessed to be the mommy to five VERY wonderful children! Blessed to know the love of one wonderful man! Blessed to have family that love me and support me in everything I do! Blessed to have friends, far and wide, to support me and pray for me when I don’t feel like I can do this thing called life…on my own! I have so much to be thankful for! I know this….and yet I’m still sad. But I think that is okay. It’s okay to grieve…it’s okay to to be sad…because it only means…I have loved hard in my life….so I must grieve hard! As one of my friend’s told me…it’s beyond normal! And I’ve not considered myself “normal” for a long time! I’ll leave you with this…a clip that Oprah didn’t use. It’s my sweet earth angels talking about their brothers…..and it is VERY precious to me. Thank you for seeing me through…thank you for allowing me to share….thank you for letting me be so real….it means more than you know!